Billy Mitchell Refutes Twin Galaxies, Says "Everything Was Done According to the Rules"
The King of Kong wants to take back his title with transparency. Last week, Twin Galaxies decided to strip Donkey Kong record-holder Billy Mitchell of his scores, following an investigation into the circumstances behind them. The leaderboard site posted the full results of its investigation, putting Mitchell out of the top spots. He was also banned from competing in the future. In a statement to Old School Gamer Magazine, Mitchell promised to be open about his evidence that his records are legitimate. "The fact of the matter is, there is a true professional due diligence being done to investigate things that happened as far as 35 years ago, in a professional manner, not in a shock jock mentality designed to create hits," said Mitchell. "We will show that everything that has been done, everything was done professionally according to the rules. According to the scoreboard, the integrity that was set up. Not 2014 forward by the current regime, who wants to reach back 35 years." "Everything will be transparent, everything will be available, I wish I had it in my hands right now, I wish I could hand it to you. But it's taken a considerable amount of time, witnesses, documents, everything, everything will be made available to you, nothing will be withheld," he added. The controversy kicked off in February, when Donkey Kong score judge Jeremy "Xelnia" Young accused Mitchell of not using an authentic arcade cabinet to achieve his high scores. The rules require that players use an original Donkey Kong arcade motherboard for official scorekeeping. Young believed that Mitchell might have been using an arcade emulator instead. The Guinness World Records also removed Mitchell from its official records over the controversy and following investigation. Twin Galaxies was the record verification that Guinness used in the first place, so Mitchell's removal from the site means he's cut there as well. "The Guinness World Records titles relating to Mr. Mitchell’s highest scores on Donkey Kong have all been disqualified due to Twin Galaxies being our source of verification for these achievements," the organization told Kotaku. Steve Wiebe playing Donkey Kong in the King of Kong documentary. 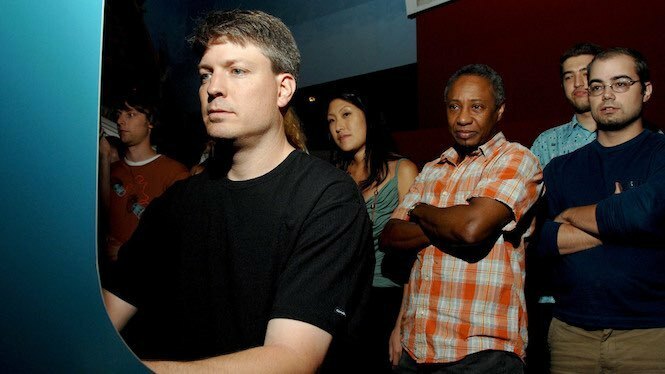 The King of Kong documentary followed the attempts of Steve Wiebe to break 1 million points in the game and take the world high score from Mitchell. The documentary ended with Mitchell on top. Following the recent news, Wiebe says that Mitchell declining public competitions against him makes more sense now. "The more I thought about it from the 'King of Kong' days, it all seemed to make sense now," Wiebe told Variety. "All the things that were happening at the time… like why he didn’t come out and play me, and why he was inciting whose records were going to be authenticated and who’s were going to be dropped. 'King of Kong' referenced that that he was a referee and on the board of directors. When that leaked out, it started to make more sense." Tagged with Billy Mitchell,	Donkey Kong,	News.